Ed joined the Colliers Raleigh-Durham Multifamily team in 2017. He has an extensive background in both pure and applied mathematics and adds expertise of property and project valuation in the residential and multifamily markets. Ed’s primary responsibilities include providing analysis and valuation for investment properties as well as due diligence and market research in the development of such properties. As a native of Raleigh, Ed has strong ties to the community and an intimate knowledge of the market. His experience in the commercial real estate industry began when he started assisting with the management of a family real estate portfolio that includes residential dwellings, farm properties, and various ground leases on local industrial properties. 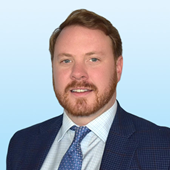 Prior to joining Colliers International, Ed worked as an actuary in the automobile insurance business.